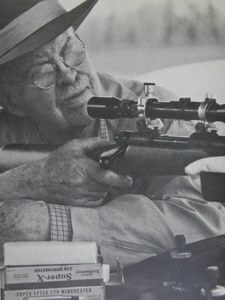 Recently, when thinking about putting down on paper some ideas about basic marksmanship skills the expression ‘only accurate rifles are interesting‘ passed through my mind and I immediately thought the person who coined that expression – Col. Townsend Whelen – probably had something to say on the matter. Five minutes later I had found an article written by this legendary shooter, hunter and marksman and quickly figured out two things – firstly, what the good Colonel wrote was better than anything I could have written and, secondly, his words were as relevant today as when penned nearly one hundred years ago. So, without editing at all, here – in the words of Col Whelen himself – are the ABC’s of Marksmanship from his 1918 book The American Rifle. Rifle shooting is almost entirely a matter of intelligent practice. Practice alone, without head work, will not get one very far. To illustrate, take the case of the man who made the highest score in the course in rifle shooting of the 10,000 men attending the Plattsburg training camp of 1916. He was a man of about thirty years of age, and had never fired a rifle before in his life. He had only about four days of preliminary instruction, perhaps two hours a day, before going on the range, but he stated that he paid particular attention to the instructions of his officers, and tried to follow them as closely as possible. On the other hand, in my work in the Army I often come across men of a rather low order of intelligence whom no amount of practice will teach to shoot, chiefly because they have never learned how to use their brains. Any man of ordinary intelligence, who is not physically handicapped, can become a good shot. To become an expert shot requires both a good body and a good brain. Most persons have the idea that eyesight is the important factor. Fair eyesight is of course essential, and may be obtained either naturally or by the aid of well-fitted glasses. 1. Aiming. One must be able to aim consistently, aiming each shot exactly the same. This requires the training of the eye in the correct alignment of the sights and target until the view or picture that they form becomes so indelibly impressed upon the retina of the eye that whenever the aim is the least bit incorrect it will be noticed at once. 2. Holding. One must be able to hold the rifle steadily in the various firing positions. First, a good, well-balanced position must be learned, and then this must be practiced until it becomes perfectly natural, and one acquires steadiness in it. Usually this takes longer to learn than the other essentials. 3. Trigger squeeze. It matters little how accurately one aims, and how steadily one holds, if, just as the rifle is discharged, one gives a convulsive jerk to the trigger which deranges both aim and hold. The trigger must be squeezed so that the rifle is not disturbed, does not move a particle, before the recoil comes. 4. Calling the shot. Literally calling to the coach the exact spot where one’s sights were aligned on the target at the instant that the rifle went off. Of course one tries to hold steadily, but absolute steadiness is beyond the ability of most riflemen. The sights bob around a little with the best of us. We must catch with our eye the exact place on the target where the sights were aligned at the instant that the recoil blots out clear vision. This spot is where we expect the shot to strike. If the shot does not strike close to the point of call it shows that there is something the matter with either rifle, ammunition, or sight adjustment. 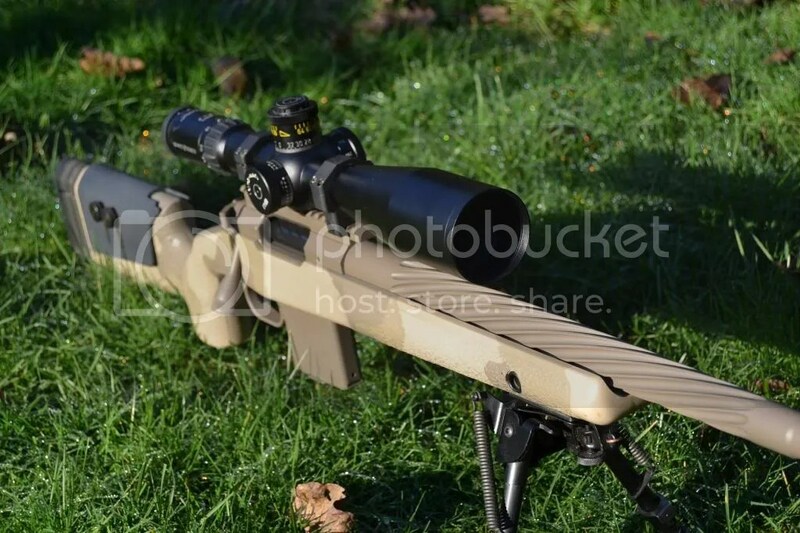 If one has a good rifle and ammunition it indicates that a change in the sight adjustment is necessary. 5. Sight adjustment. The sights of the rifle must be adjusted so that the bullet will strike close to where one aims. Owing to factors which will be discussed later, almost all men require slightly different sight adjustment. Thus a rifle sighted in by one man is by no means correctly sighted for others, and rifles sighted in at the factory are never more than approximately correct. One must be able to adjust his sights so that the bullet will strike where his rifle is aimed; that is, where the shot was called. Finally, one must learn to co-ordinate all these five essentials. He must learn to aim accurately, and at the same time hold the rifle steadily. While he is doing this he must be gradually increasing the pressure on the trigger, so that when the aim seems best, and the hold the steadiest, he can squeeze on the trigger the last ounce or so of pressure which will discharge the rifle. And while doing this he must not forget to catch the point where the sights were aligned at the instant that the rifle goes off. He must learn to concentrate his mind, and every bit of his will power on doing these four things, and doing them perfectly. 2. Pay the closest attention to every little detail. 3. Be careful. Lots of good scores are spoiled, and lots of game escapes, through carelessness alone. 4. Be accurate. You are handling an instrument of precision, but it will not avail you if you be not accurate yourself. 5. Don’t get excited. An excited man cannot hold a rifle steadily, nor will his aim be accurate. Excitement usually comes from a lack of confidence; that is, from a lack of practice. 6. Go slow. Especially at first, go slow. Many men who have been shooting for years will never make really good shots because they do things so fast, or so impulsively, that they do not get the required steadiness or accuracy. Do not attempt rapid fire until you have mastered the slow fire. Skill in slow fire never makes a man a poor rapid-fire shot; it is lack of practice in rapid fire. Some men soon acquire a remarkable ability to shoot the rifle, but it must be remembered that to be really expert one must have his lessons so drilled into him that even when excited he will still continue to shoot well. This means that one must practice until shooting becomes second nature before he can really call himself expert. In every case where anything important is at stake in rifle shooting there will be a certain amount of excitement, physical exertion, and necessity for speed. Let the novice not think that because he has made a score which equals the record he is an expert. Let him try to duplicate his work after a hard climb up a steep mountain when a mountain sheep suddenly leaps up and is about to disappear over a ledge. Or again, on the battlefield, when he must beat the other fellow to it with a perfectly placed bullet or go under. Most beginners can become good shots after several weeks of daily intelligent practice. To become a real expert requires years of practice, study, and experience. If it were not so the game would not be worth the candle. 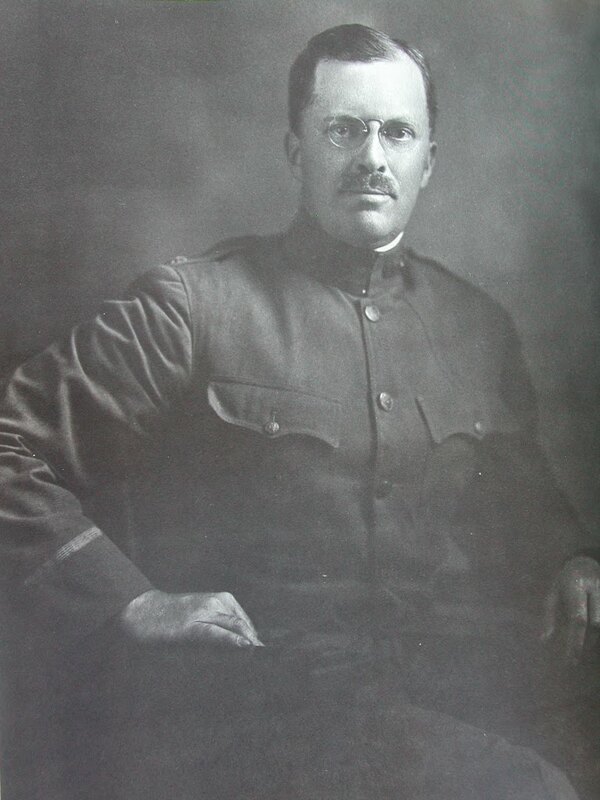 Col Townsend Whelen who was born in Philadelphia on March 6, 1877 and died on December 23, 1961 was a career soldier, outdoorsman, hunter, marksman cartridge inventor and prolific writer whose ideas about all things to do with shooting are as valid today as they were when written.